The mobile version of the game launched a year ago last week. it has been played 151 billion times. Billion, with a B! There are only 7 billion people living on the planet at any given time. Either every person on earth has played it 21 times, or there is a subset of the population with a really big problem. Since most people on earth do not have a device that can play it, we can feel safe in declaring the latter. 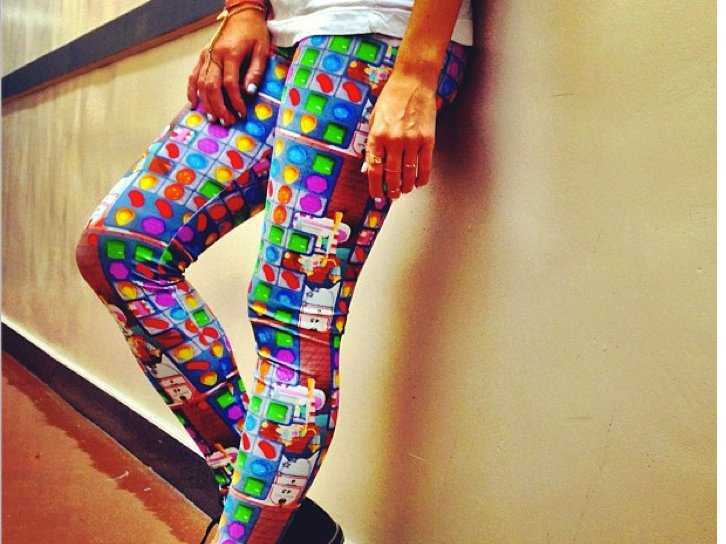 Candy Crush is the #1 game on iOS, Android, and Facebook, a platform unto itself. This free game rakes in over $875,000 a day. That's almost 30 times the amount made by Angry Birds. This game is so successful, the creators are considering going public with an IPO. This is usually a bad idea for games due to their etherial nature. But the popularity and success of Candy Crush shows no sign of stopping. At risk of repeating myself, this free app is making an awful lot of money. That means that people are not just playing it, but paying real money to do so. A guest on, "This Week in Tech" publicly admitted to spending over $400 on the game. She did so without shame. Clearly, she is not alone, not by a long shot. For my part, I have managed to play without spending a dime, or spamming my friends for help. But I can see how easy it would be to spend a few dollars here and there for in-app purchases. You might wonder why a person would spend money on a game that can be played for free. I've been playing for free, so obviously, it can be done. Before explaining that, I want to dispel a myth or two about the game. It is not just a clone of Bejeweled, as I first imagined. A match-3 puzzler like myself tends to think of all match-3 games as a cynical clone of Bejeweled. It certainly borrows from the classic, but while derivative, is not the same, not even close. I am a master of Bejeweled. I am not even close to mastering Candy Crush Saga. There is a big difference between the two. Second, Candy Crush Saga is an extremely challenging game, suitable for adults and true puzzlers. The cutesy name suggests a simple, cloyingly sweet pastime for little girls who live in suburbia. It is. But it is so not. It presents like that sort of game. Parents see it, and immediately think it is just right for the little ones. Indeed, the little ones can play it, in much the same way they can play chess. They can learn to move the pieces, but few will master it until they reach maturity. Once mom picks it up to see what all the fuss is about, she becomes hooked even faster than the kid. Dad scoffs until, one day, he secretly picks up the iPad and gives it a try. At that point, this happy, little family is about one month away from the soup kitchen. You start out doing well, and you just want to get to the next level. The difficulty sneaks up on you, and before you know it, you are not getting to the next level. You try again, and again. That is when you discover that you only have so many lives. You are told that you have to wait a few minutes before you can try again. This is where the crushing happens. You don't want to wait a few minutes. You want to play right now. The only way to keep playing is to buy more lives, or, you can spam your Facebook friends for help. I choose to wait. Others don't. When your time is up, and you have more lives to spend, you play a little more carefully, and eventually clear the hurdle, only to be faced with another, and another, and another. Eventually, you lose all your lives again, and again, you wait. The wait gets a little longer and harder to bear. At level 40, you are going to have to wait 24 hrs. between wins. You have to do this three times before getting to level 41. This cycle will repeat itself at higher levels. I'm not there yet, but am told that by level 65, you almost have to spend money. I'm going to hold out as long as I can. The addiction factor is no accident. The designers of the game built in addiction in the same way that nicotine is built into cigarettes. The article goes on to list 9 factors that make the game addicting based on an interview with the designers. Reading it may be instructive. But I doubt it will cause you to put down the candy. If you find that your free time is getting crushed by this game, just know that you are not alone, and it can be done without breaking open the piggy bank.